Mon.-Thu. 11 a.m.-10 p.m.; Fri.-Sat. 11 a.m.-11 p.m.; Sun. noon-10 p.m.
Long before there were Japanese, Vietnamese or Thai restaurants in Pittsburgh, there was Chinese food. Or, rather, an Americanized version of it created by Chinese restaurant owners from an amalgam of mostly Cantonese influences combined with available ingredients and prevailing local tastes. 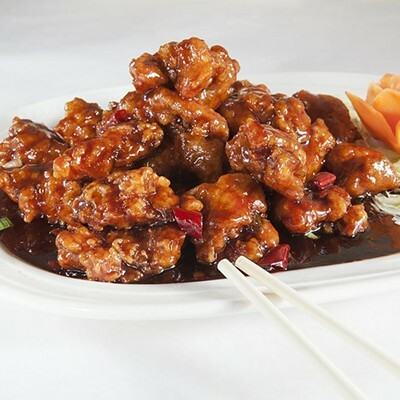 Blander and sweeter than most authentic, regional cuisines of mainland China, American Chinese food — including such emblematic dishes as General Tso's chicken, chop suey, and beef and broccoli — has been around so long that it has become embedded in our national culture of adopting and adapting immigrant tradition. 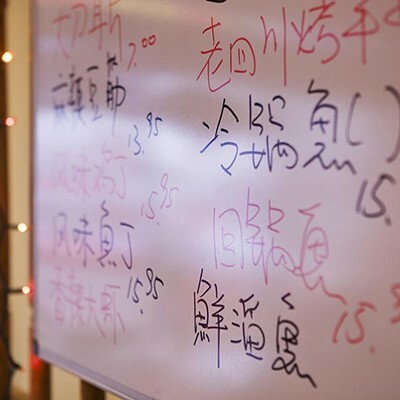 But the first Asian cuisine to be assimilated by Pittsburghers has been the last to satisfy the current appetite for authentic foreign cooking. 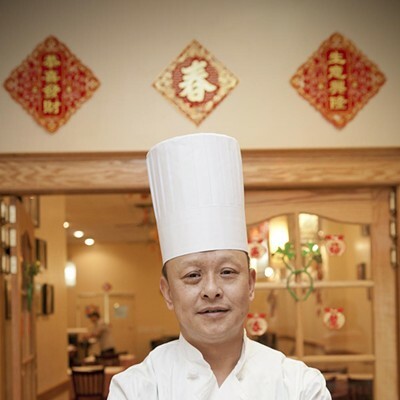 That's why Chengdu Gourmet, a Sichuan restaurant located beneath the Forward Lanes bowling alley in Squirrel Hill, is nothing short of a revelation. Liberally heated with chilis and Sichuan peppercorns (which are really buds from an ash shrub), Sichuan cuisine is not bland and sweet, but complex, bold and often spicy. 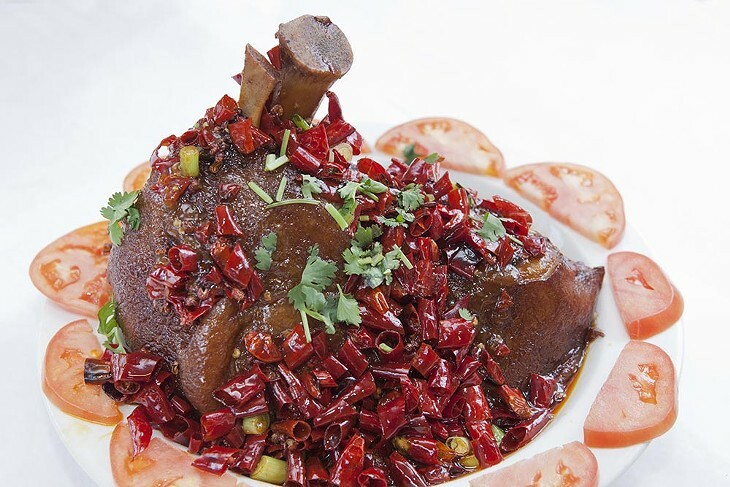 Beyond that, it is hard to come up with umbrella adjectives to describe the dazzling array of Sichuan specialties featured in Chengdu Gourmet's 20-page "Traditional Chinese" menu — everything from silken tofu and sea cucumber to spare ribs and spicy rabbit. 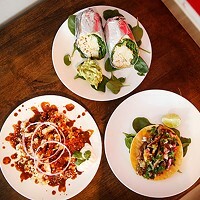 Fortunately, since few of the dishes are familiar to American diners, the menu is plentifully illustrated with color photographs. 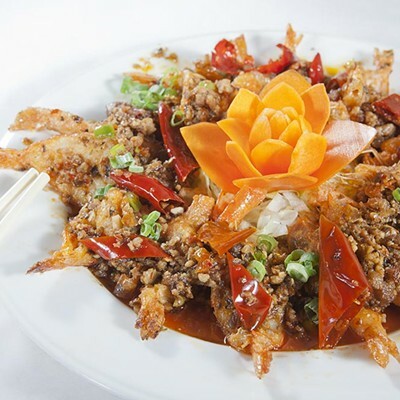 There is also an American Chinese menu and even some Thai-inspired stir fries, but we ordered exclusively from the Sichuan specialties. 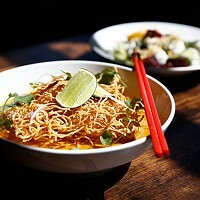 We began with a couple dishes that were familiar to us: dan dan noodles and dry-fried green beans. 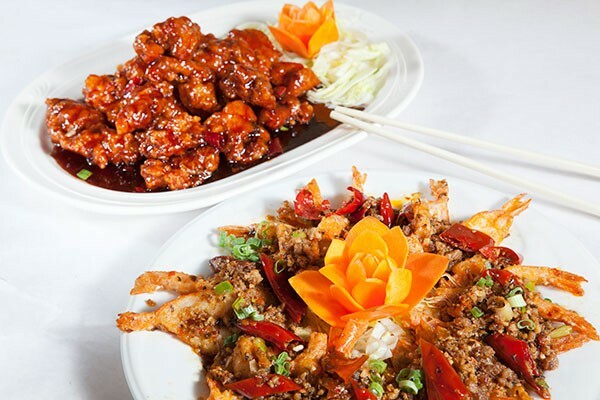 Rather than being meat-based, both of these dishes were garnished with minced pork, which had a salty savor and crispy-chewy texture characterized every bite. The dan dan we make at home is nutty, with a sesame-based sauce, but Chengdu's was lightly tossed with spicy chili-peppercorn oil. Slight sweetness derived both from the pork and from a few emerald leaves, just wilted and bursting with juicy flavor. Dry-fried beans are not actually dry, but flash-fried in lots of oil, then stir-fried with aromatics. This results in beans with a blistered, highly seasoned exterior and tender yet firm interior with an intensely vegetal flavor. The pork bits may have made this dish a touch too salty, but the overall combination of flavors and textures was great. Speaking of texture, it's often noted that Chinese cuisine utilizes a much broader range of textures than Western: chewy tendons, slimy yam noodles, firm roots and so on. Pork intestine, cooked with noodles in broth, had a distinctive pork flavor with a texture that was tender but a bit resilient, but the broth was too simple, with chili oil floating on top but not much depth of flavor. Braised sea cucumber, on the other hand, had depth to spare. The sea cucumber itself — not a vegetable, but a relative of the starfish — was slightly chewy, a little like a mushroom (strips of shiitake in the dish were even chewier), with a mild flavor. But the broth was almost beefy in its robust savoriness. A simple starter of peeled, raw cucumber strips — the vegetable, this time — was also extraordinary: salted, flecked with herbs and lightly doused in a delicate, sweet-tart dressing. These were the perfect accompaniment to steamed Sichuan dumplings, with tender, slippery wrappers and a simple meat filling, and served in a dish of that addictive chili-peppercorn oil. For our kids, we also ordered fried dumplings from the American menu, and the contrast couldn't have been starker: thick, gummy wrappers, pork-scallion filling with a musty flavor and a dipping sauce that was perfunctory at best. Further adventures included an exquisite plate of sizzling, tender cumin lamb in an almost sauceless stir-fry studded with dried chilis and sautéed onions and peppers; "home style" tofu with vegetables in a mild but deeply savory sauce; and "five flavor" beef. A whole cut of beef, apparently taken from a lower leg, had been slow cooked, then chilled and sliced thin. The resulting slices were marbled with soft-rendered connective tissue, subtly infused with the cooking liquid, and served cold on a small platter alongside a little bowl with salt, ground chili, peppercorn and other spices. All this, and we barely scratched the surface of a menu packed with hot pots, flaming pans, sizzling rice crusts and weekly chef's specials that looked, truly, special. 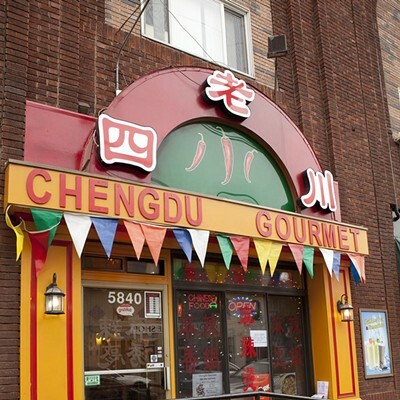 Chengdu Gourmet may well be the best Chinese restaurant in Pittsburgh; it is certainly one of our city's most exciting dining experiences.